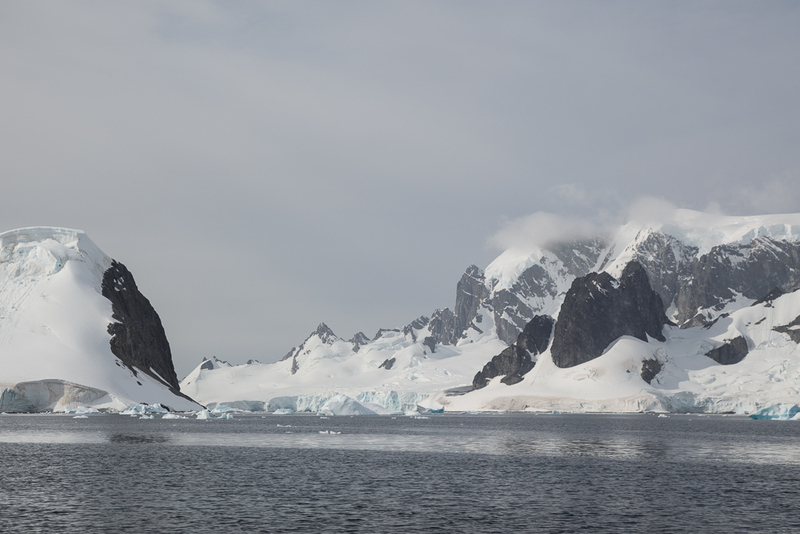 The day started with heavy overcast as we cruised toward Orne Harbor, where a large glacier is the main feature at the end of the harbor and a large hill of exposed rock is on the south opening to the harbor. 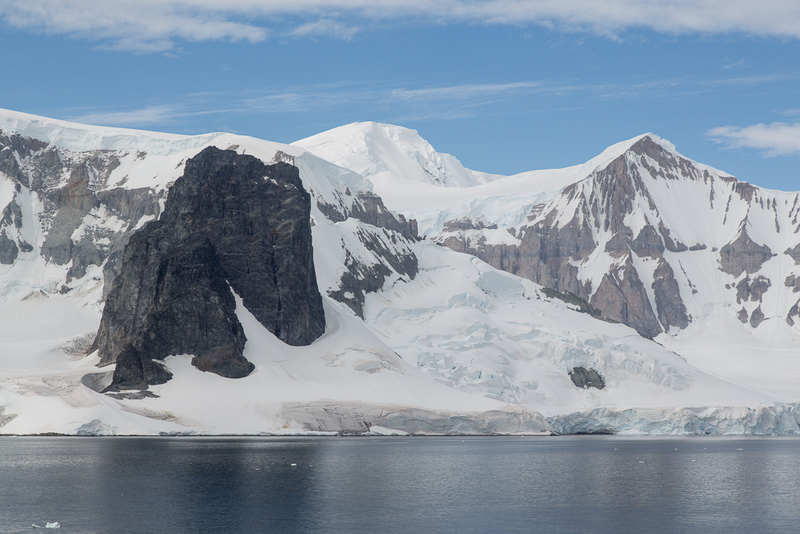 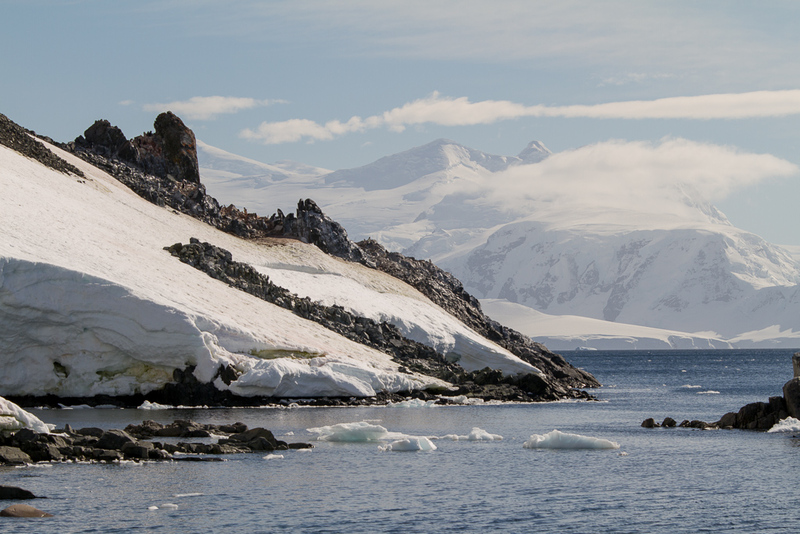 This is the location of the Chinstrap Penguin colony we were scheduled to visit. 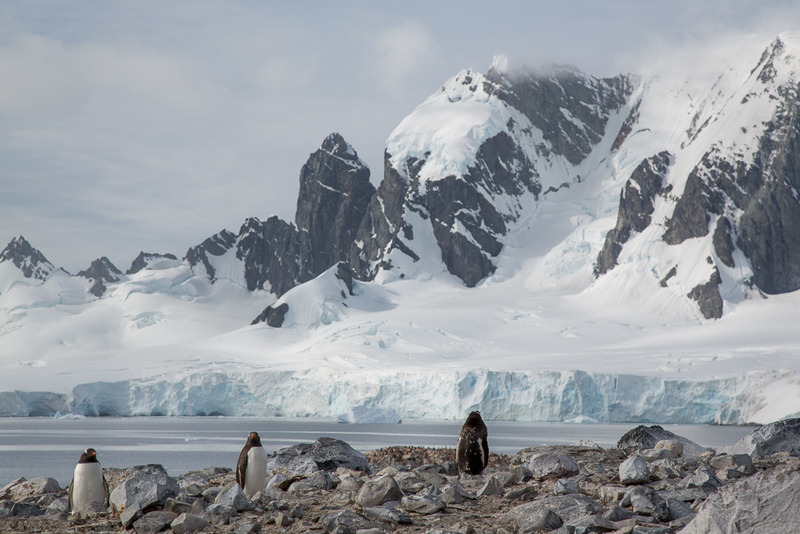 A few chinstraps were in the water near the shelf of rock that served as a landing area, but there were thousands of penguins along the ridge. 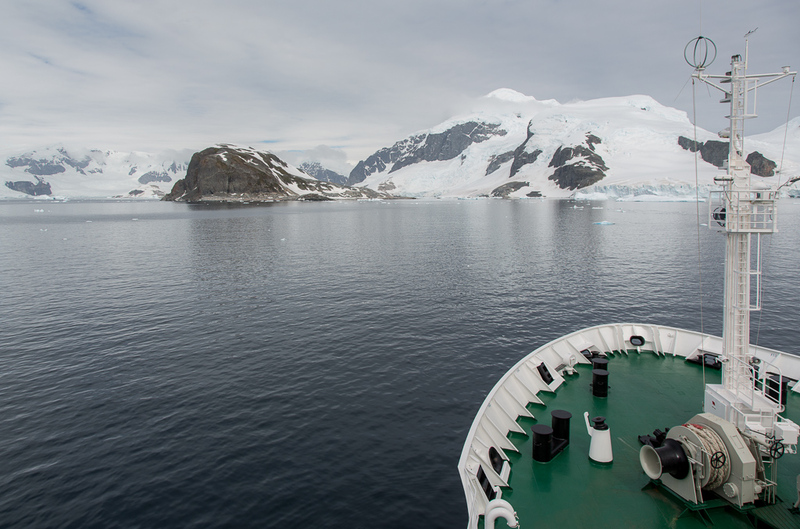 The path to the ridge was on the other side of the ridge, which we saw when the ship rounded the point on the way to the afternoon landing area. 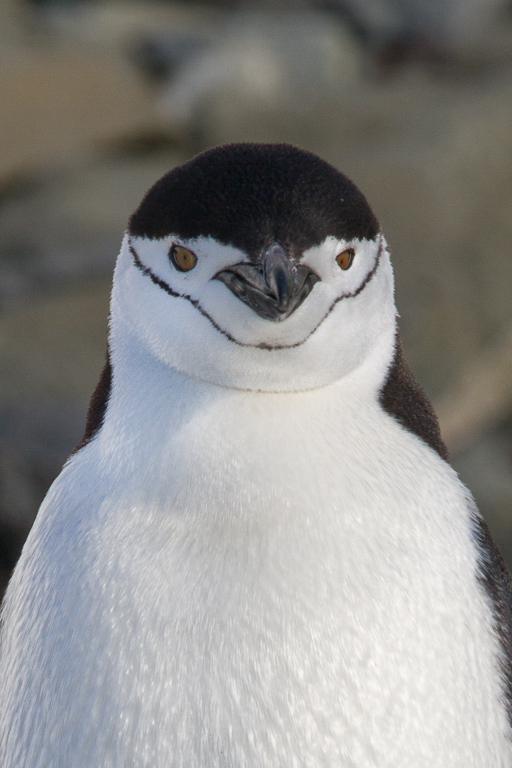 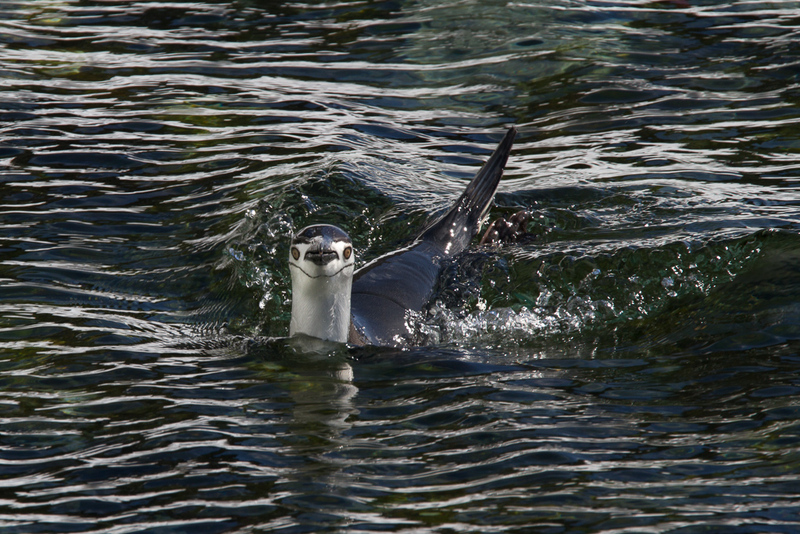 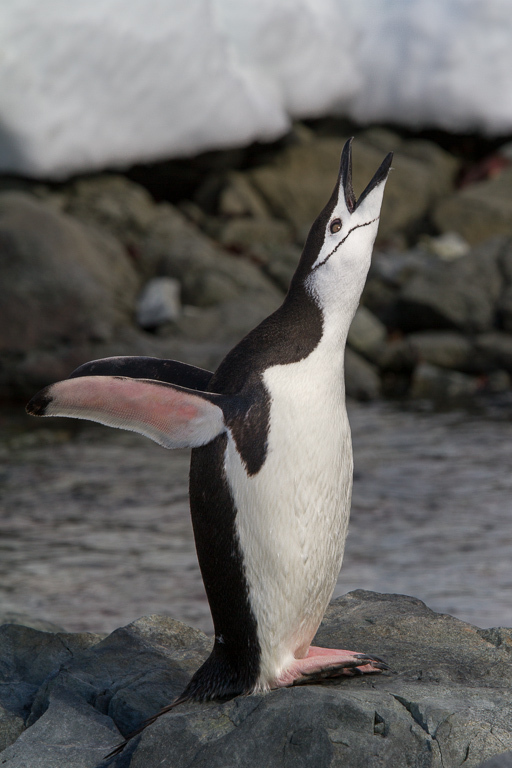 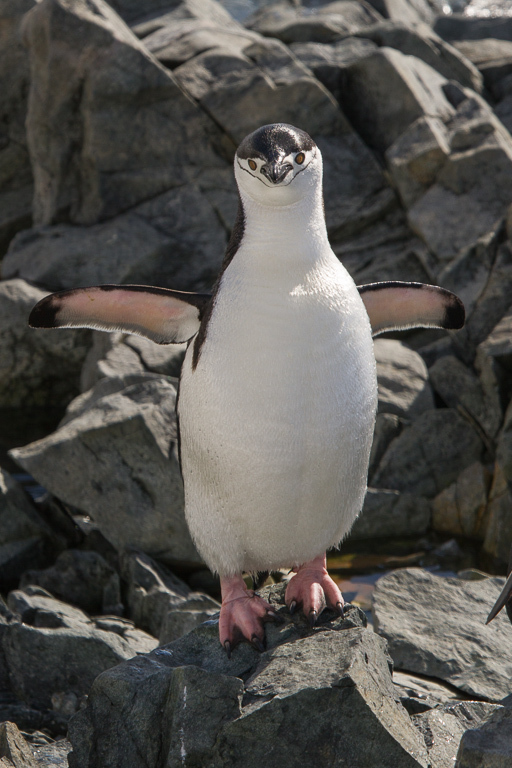 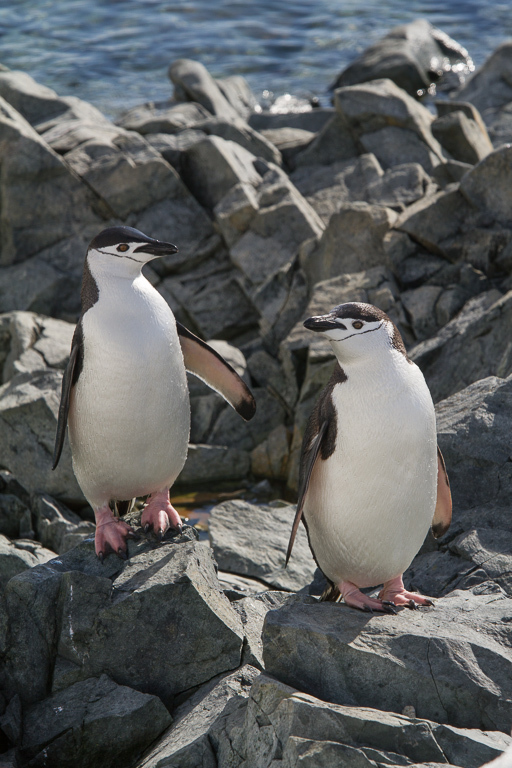 Oceanites reported 1000 chinstrap penguin chicks on the ridge. 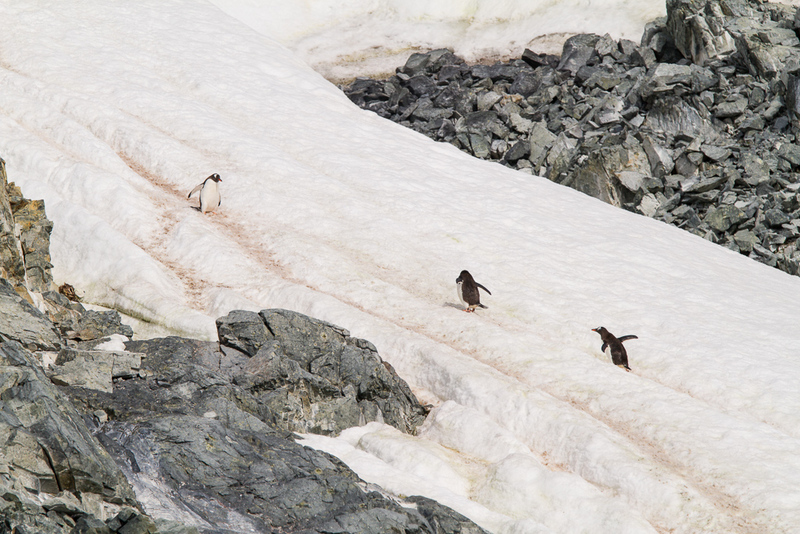 Although these small penguins climb this hill (on the other side) perhaps several times a day, I found I was too unsteady on the climb up the hill to make it worth it and decided to stay near the landing area to photograph penguins in the water and on shore, an Antarctic Tern that stayed in the area, and a few landscape images. 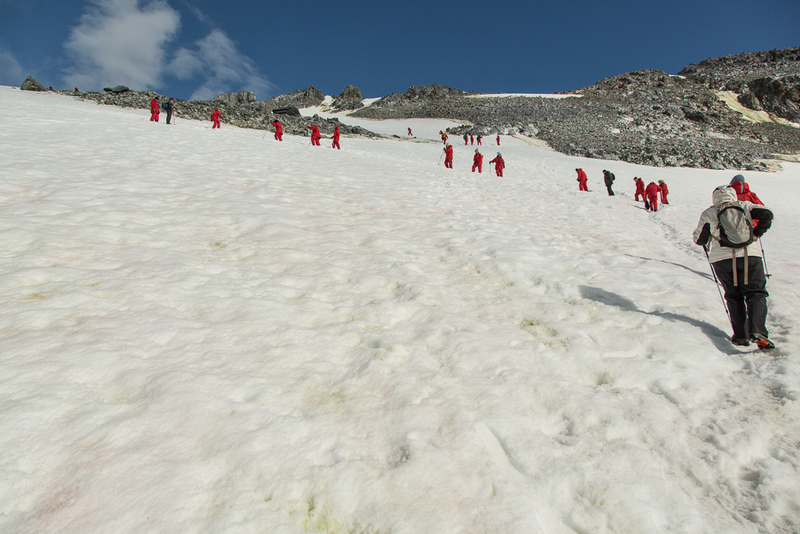 The zodiac cruise that followed went deeper into the harbor, up to the glacier at the end. 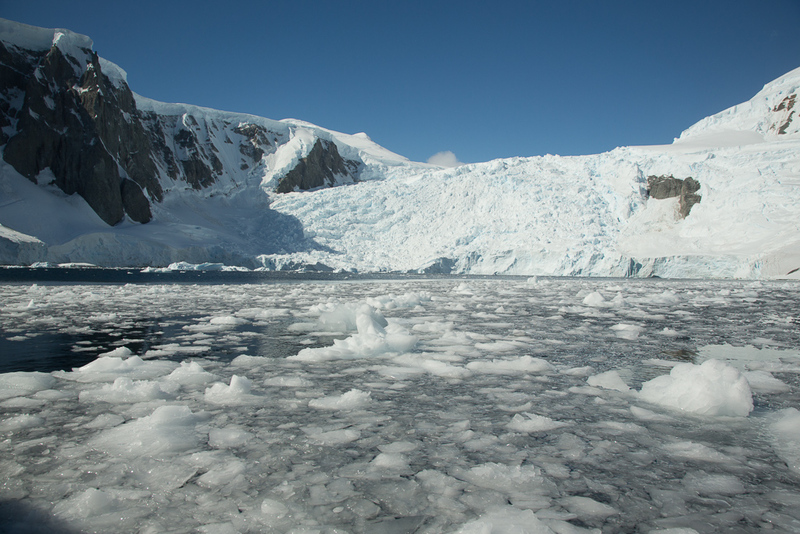 There was a large amount of brash ice here, and several reports from some of the zodiac drivers of whales flipping their fins near the kayaks and zodiacs. 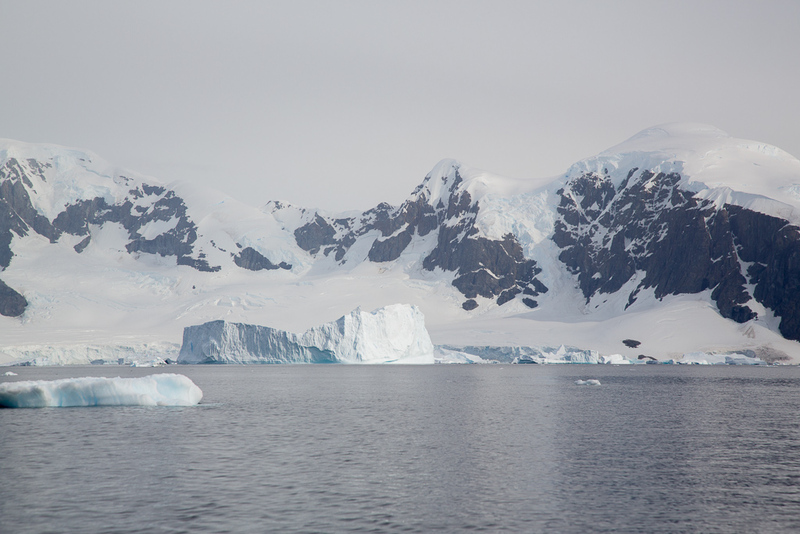 By the time we arrived in the area it was over. 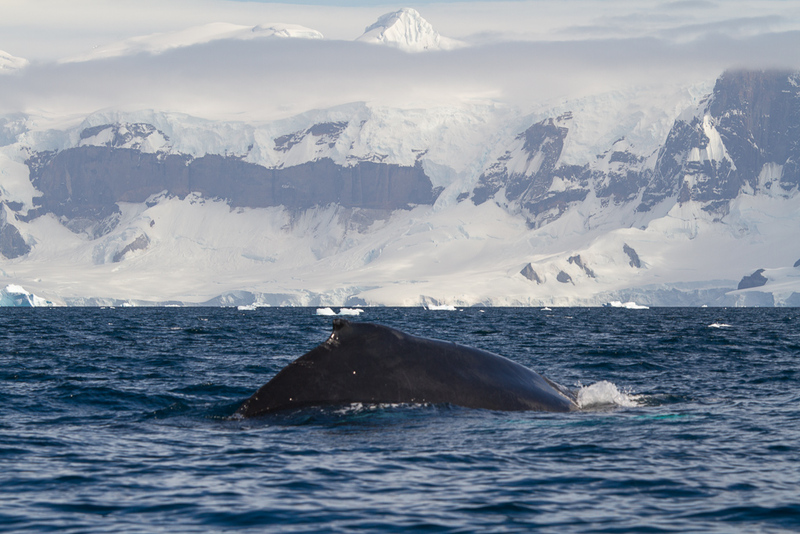 We did see images of the whales approaching the boats as well as some underwater images of the whales swimming by the boat. 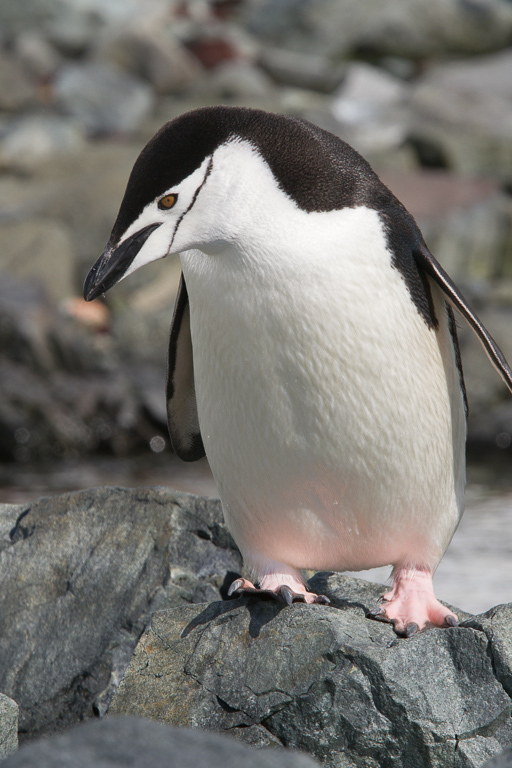 There was a report, and later some shared images in a slide show, of a leopard seal playing with its food, a penguin. 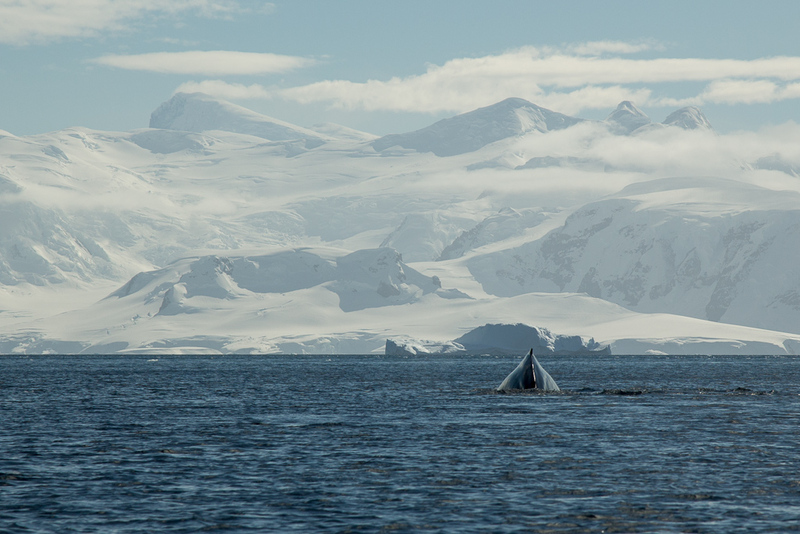 We also cruised to the mouth of the bay, following a humpback whale hoping it would breech or take an interest in us. 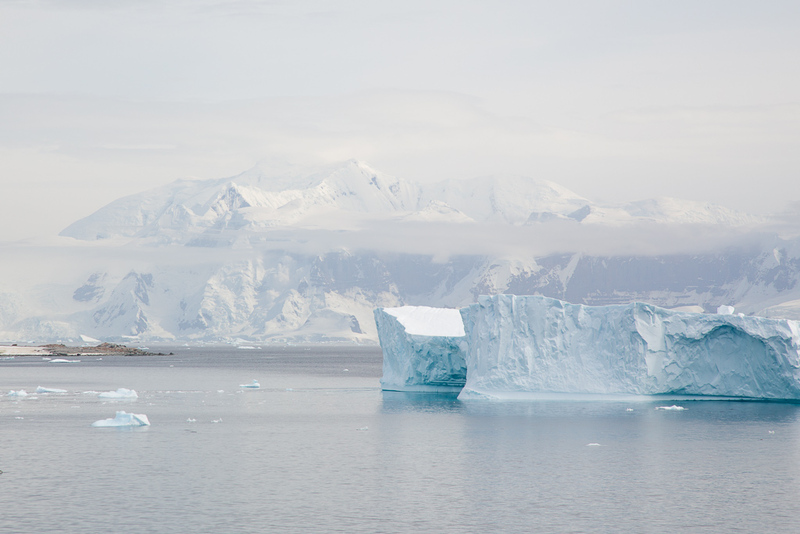 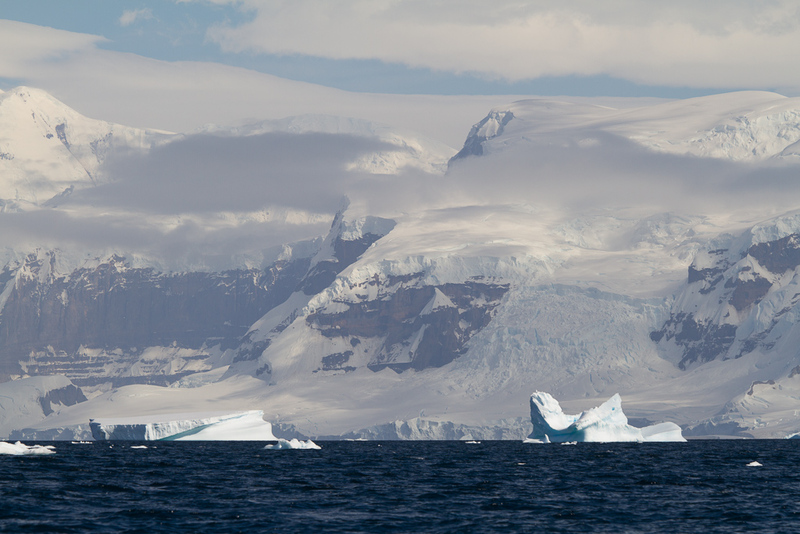 The vista of huge icebergs and nearby 3,500 foot mountains across the Gerlache Strait was spectacular. 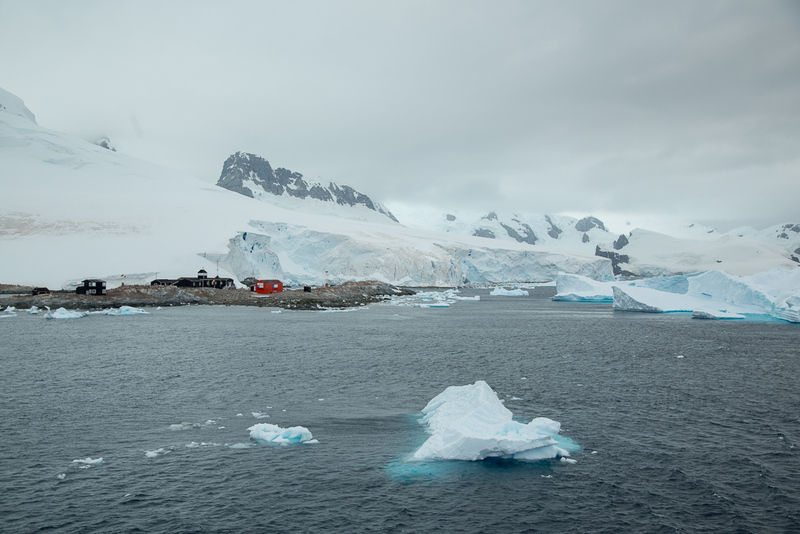 Our afternoon landing was on Cuverville Island, a rocky island in the Errera Channel between Rongé Island and the Arctowski Peninsula on the Antarctic Peninsula. 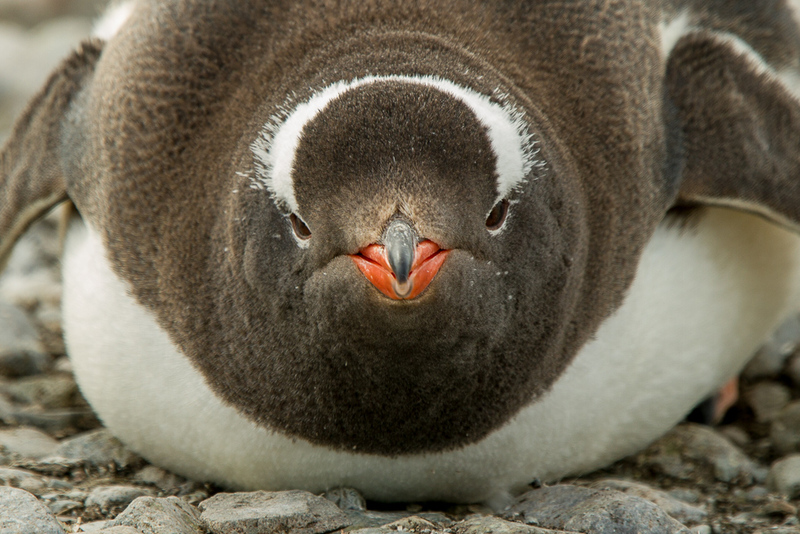 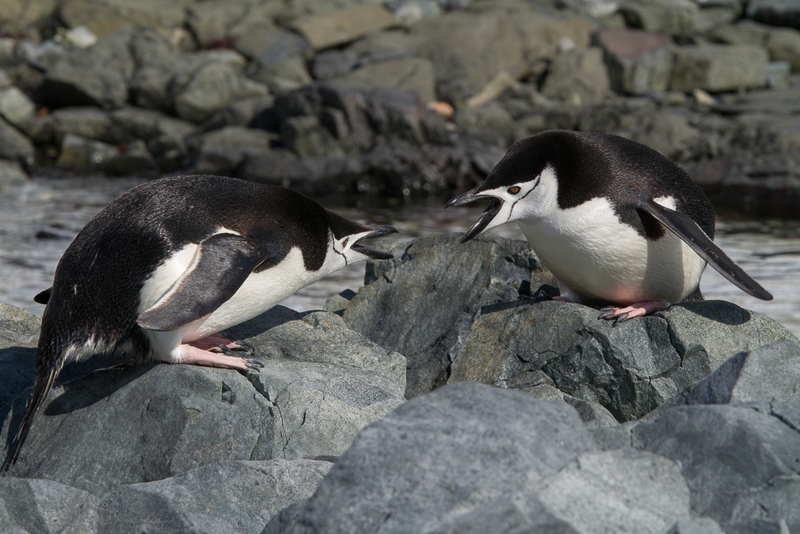 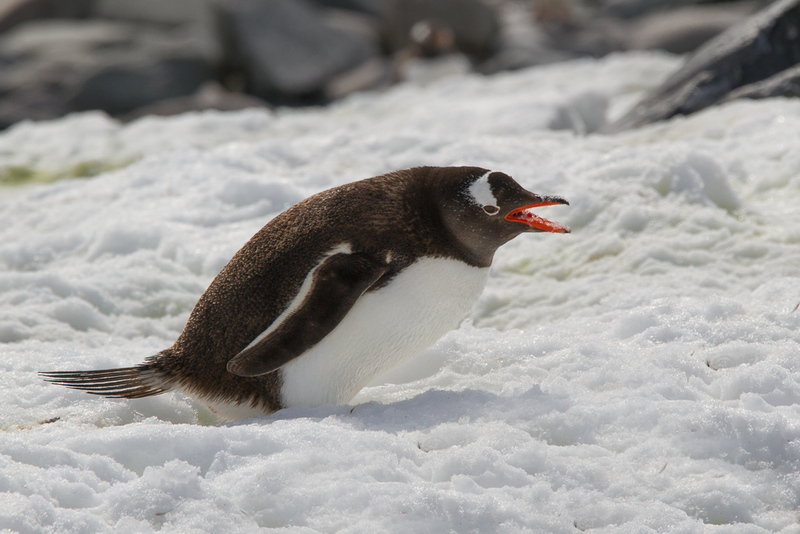 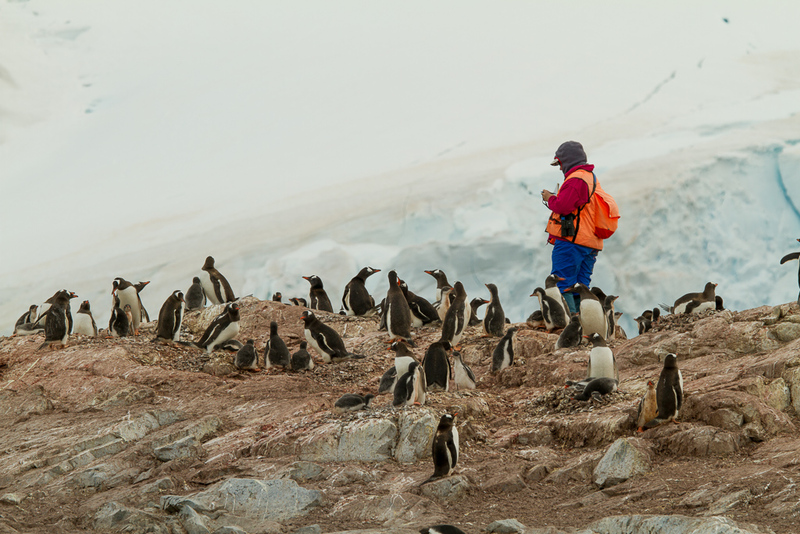 The island is an important birding area as the large breeding colony of Gentoo Penguins resides here. 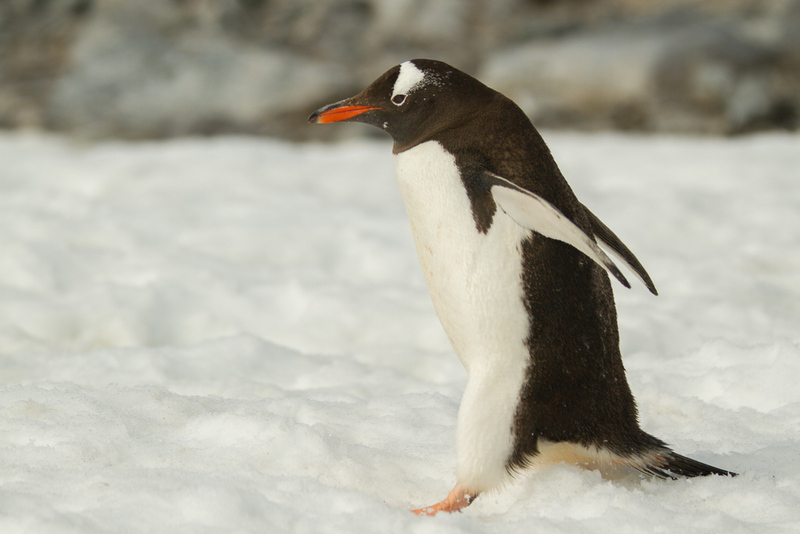 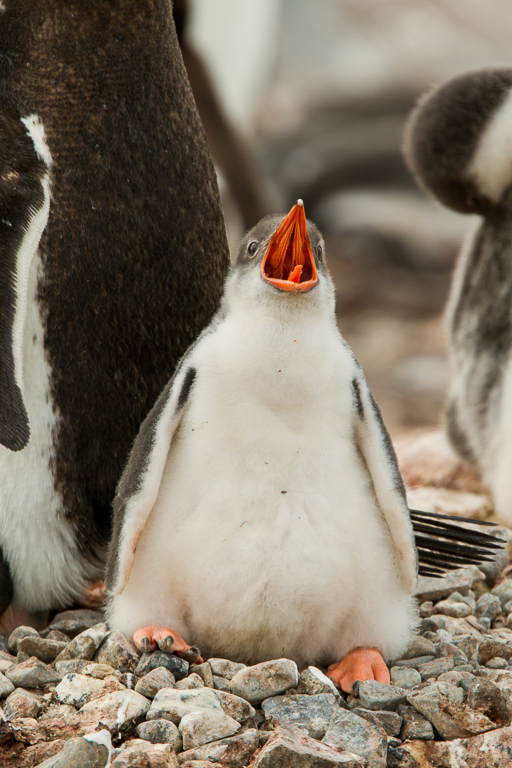 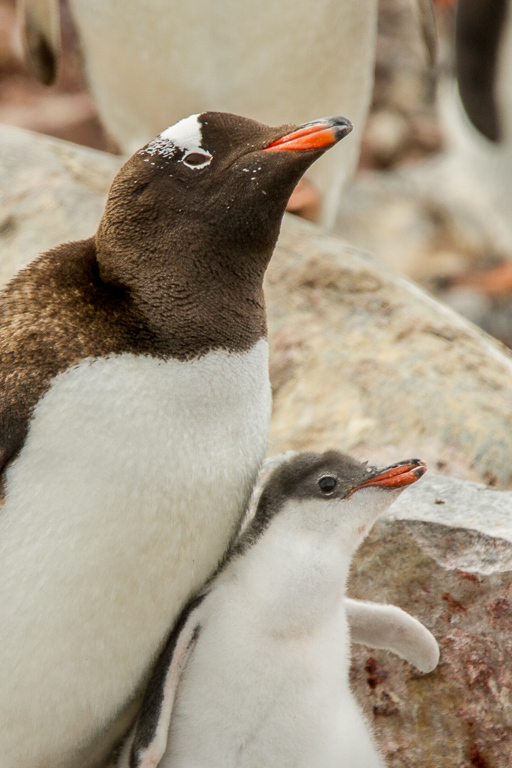 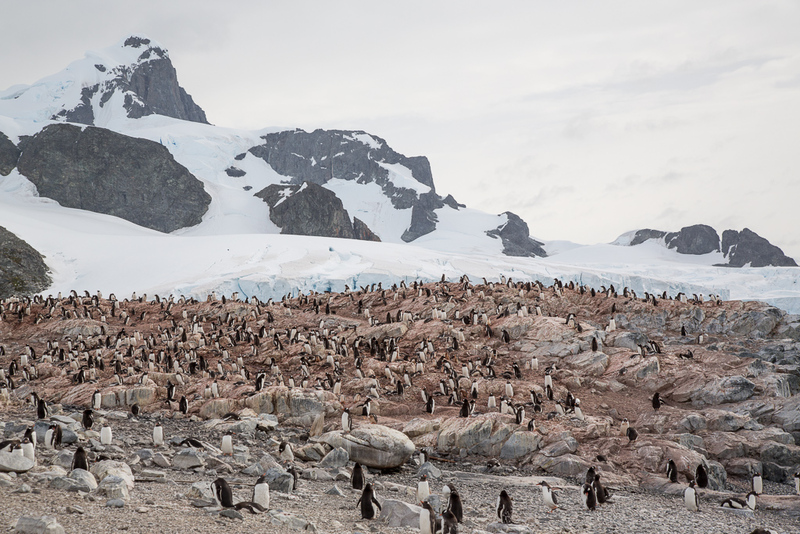 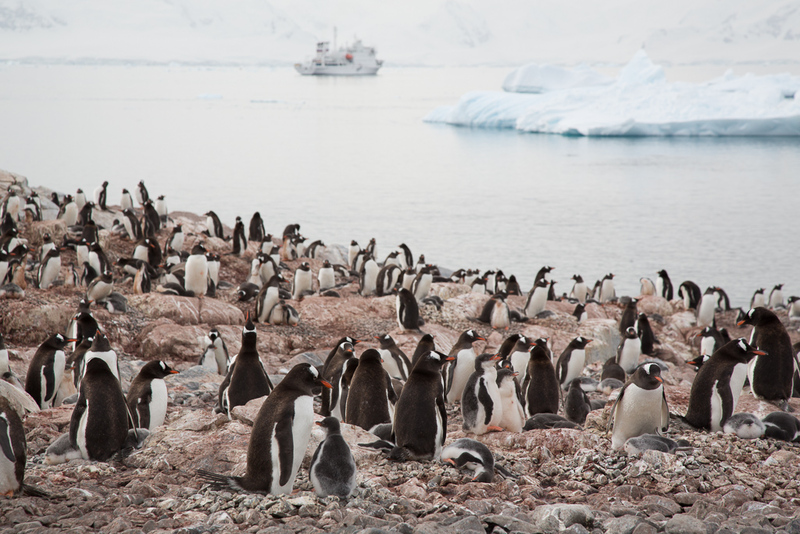 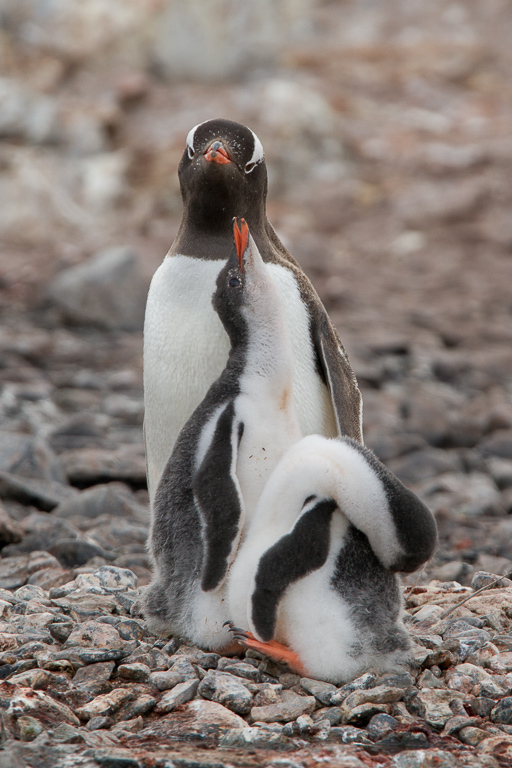 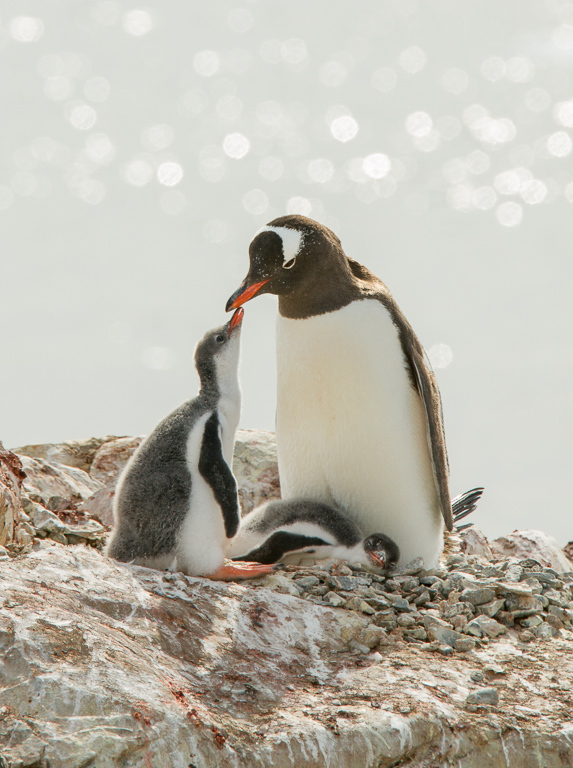 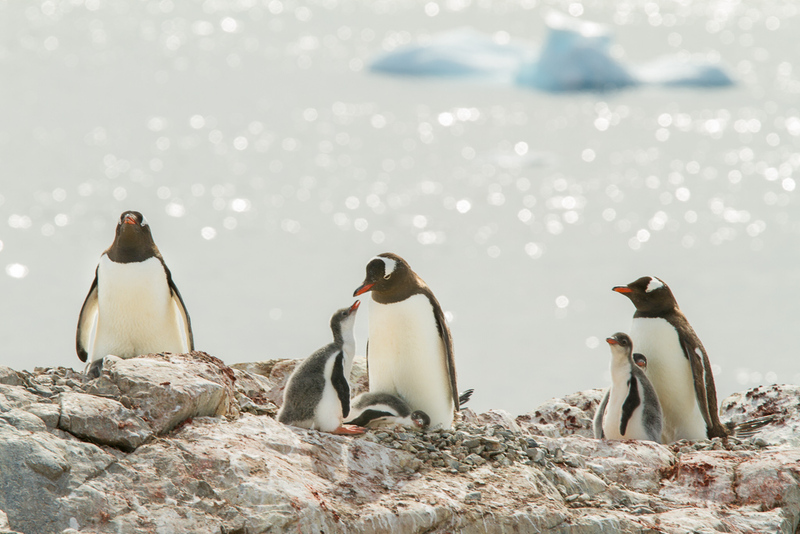 It is the largest Gentoo colony on the Antarctic Peninsula, and the Oceanites counters reported approximately 5,000 Gentoo chicks on the southern part of the island. 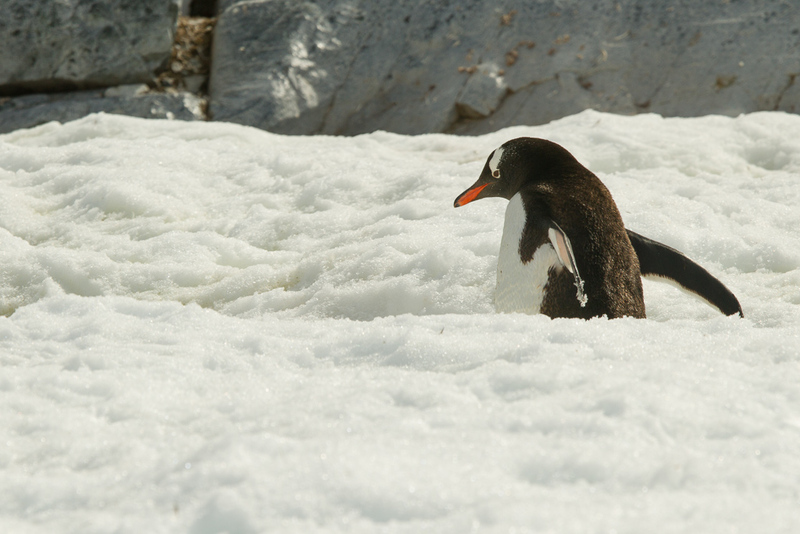 To my untrained eye, there seemed to be at least as many penguins nesting on the north end of the beach. 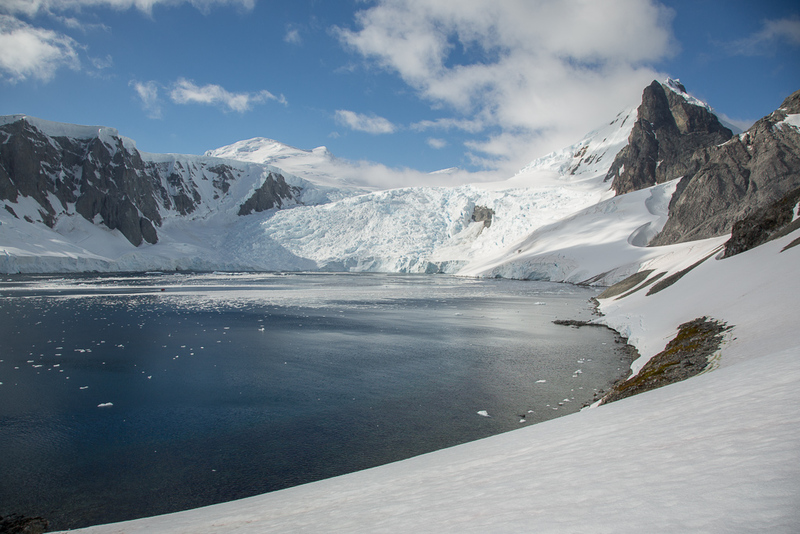 The skies were open overcast with patches of blue sky and the temperature here was warm, just above freezing with no wind so our waterproof coats came off to be more comfortable. 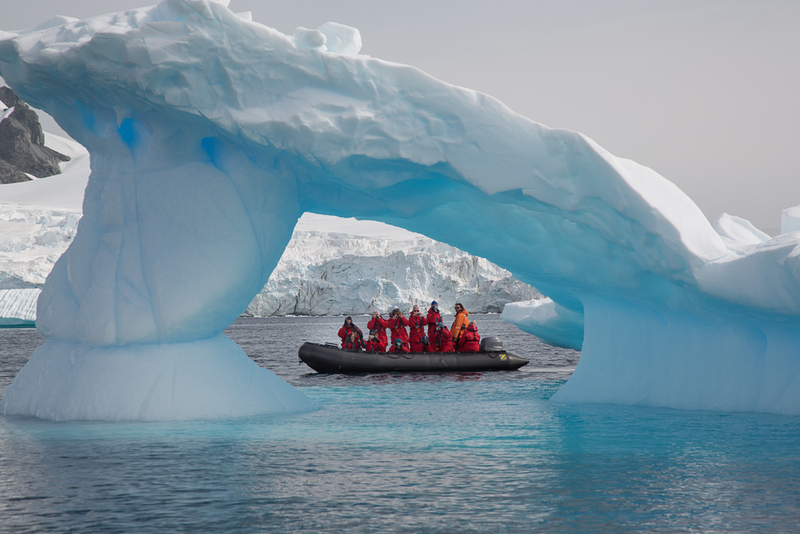 The coats are necessary in the zodiac because the speed of the zodiac causes a wind chill that is surprising for the low speeds involved. 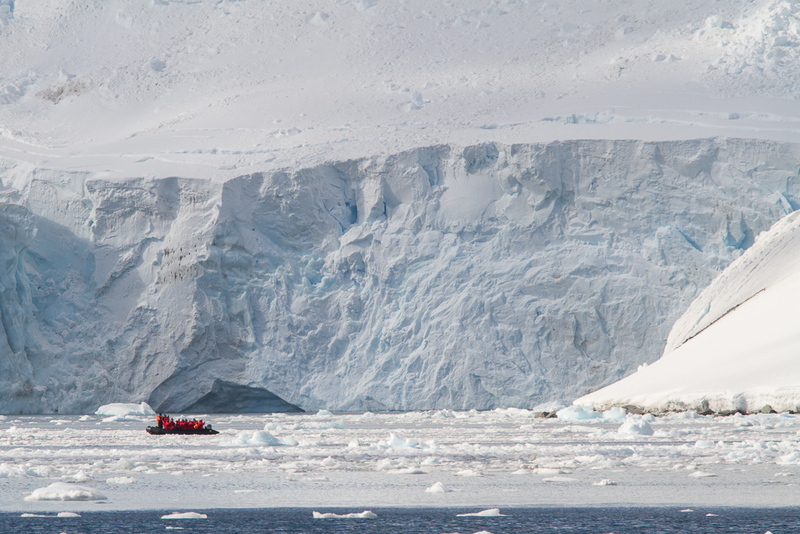 One the way from the ship to the beach we stopped to examine a relatively small iceberg that had an interesting shape. 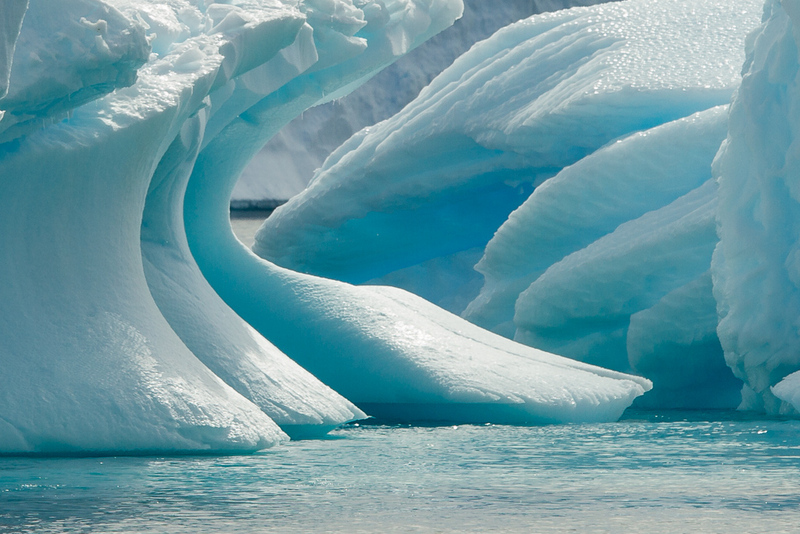 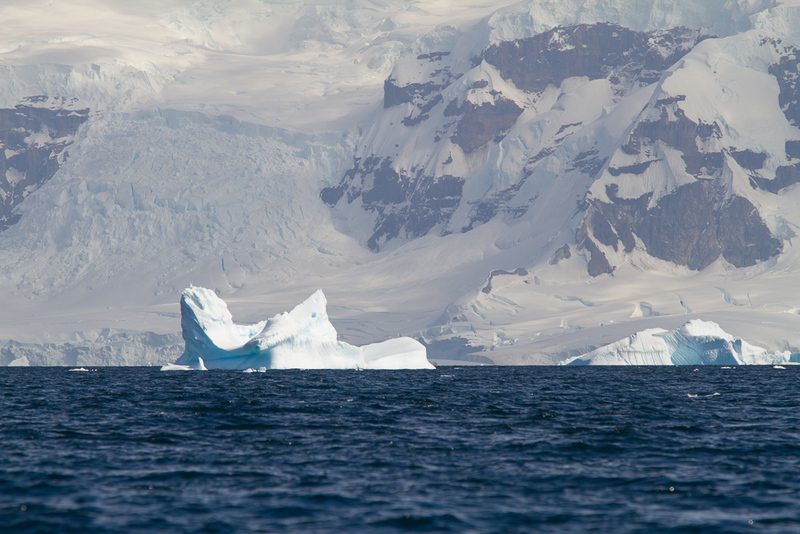 The icebergs are shaped by environmental forces; air temperature, wind, water currents. 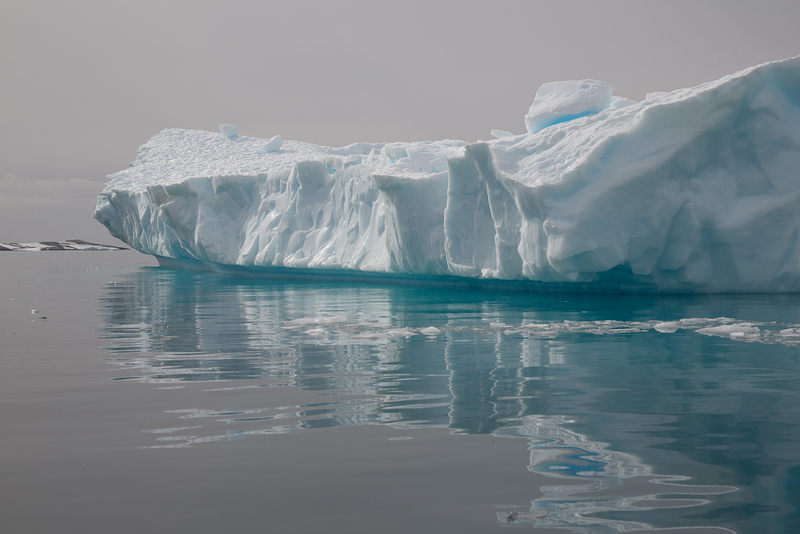 Only ten percent of floating ice is above the surface, and when the center of mass of the iceberg changes due to erosion of the submerged portion, or a large piece breaks off, the iceberg reorients itself revealing a portion that had been submerged and carved by the ocean currents. 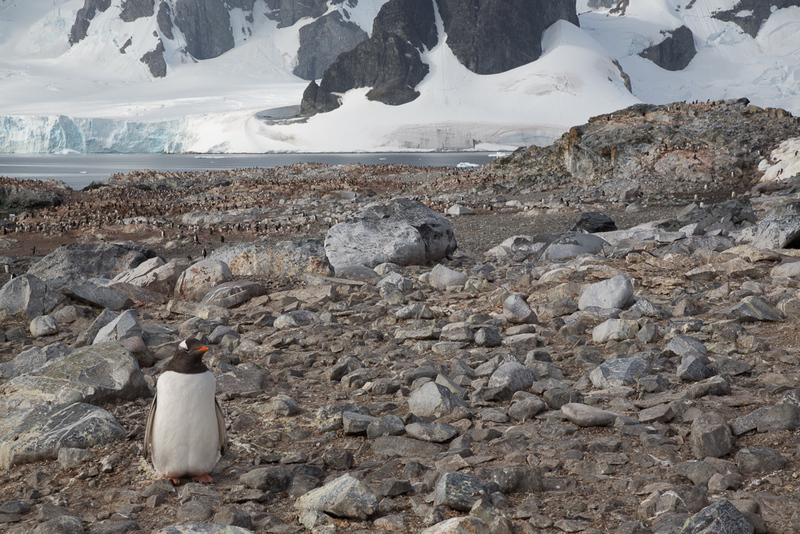 Gentoo penguins were everywhere; large colonies at either end of the beach, on the rocky slopes of the hill, and on the ridges high on the hill. 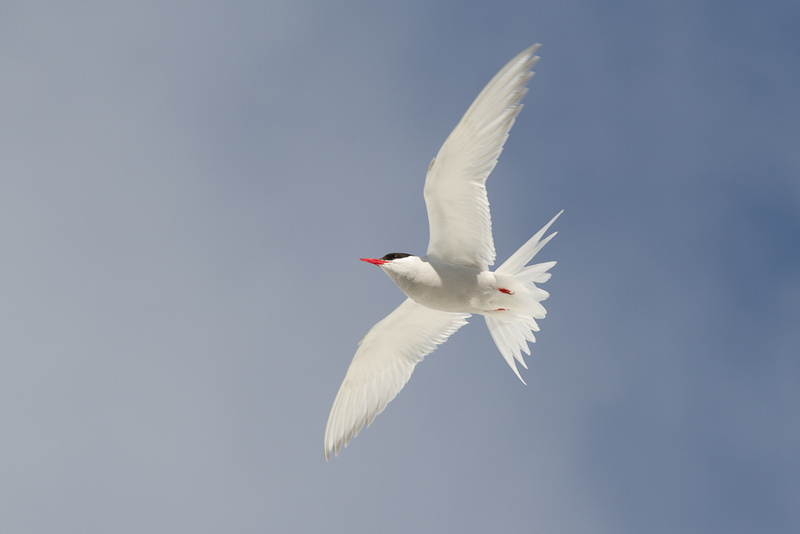 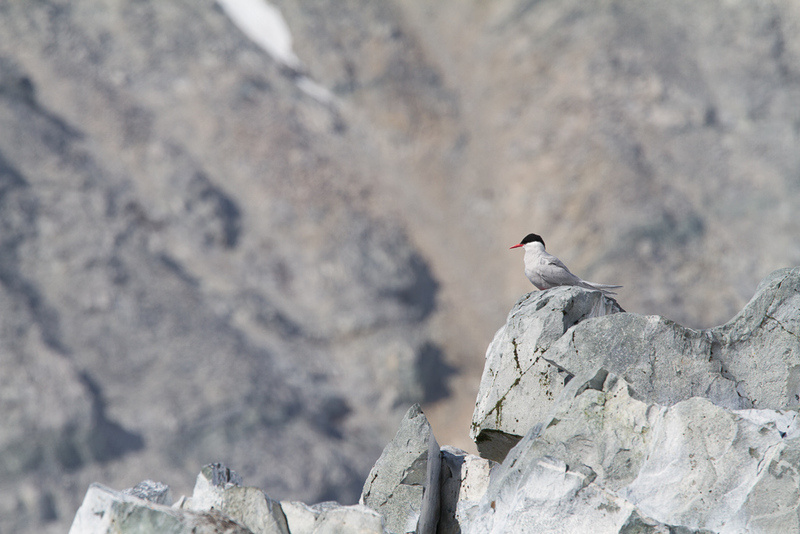 The rocky ridges are the first to show as the summer approaches, and those that make a nest here are able to lay eggs earlier, and the chicks have a greater chance of survival if the weather is severe during the summer months. 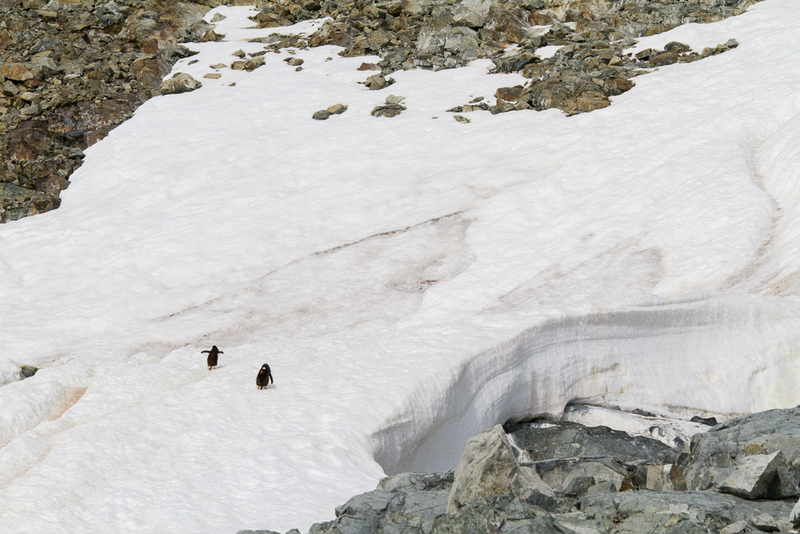 Bringing food up to the chicks on the ridge, adults develop trails of compressed snow that are chest deep. 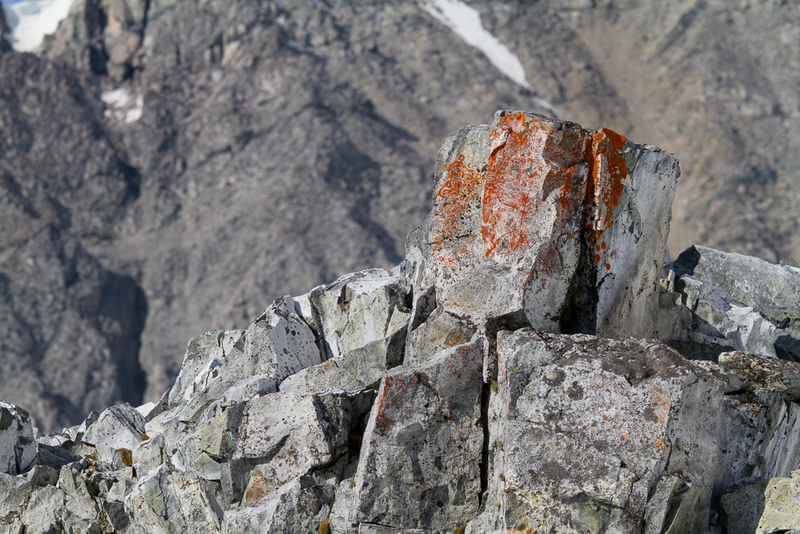 Often there are two parallel paths, one up and one down. 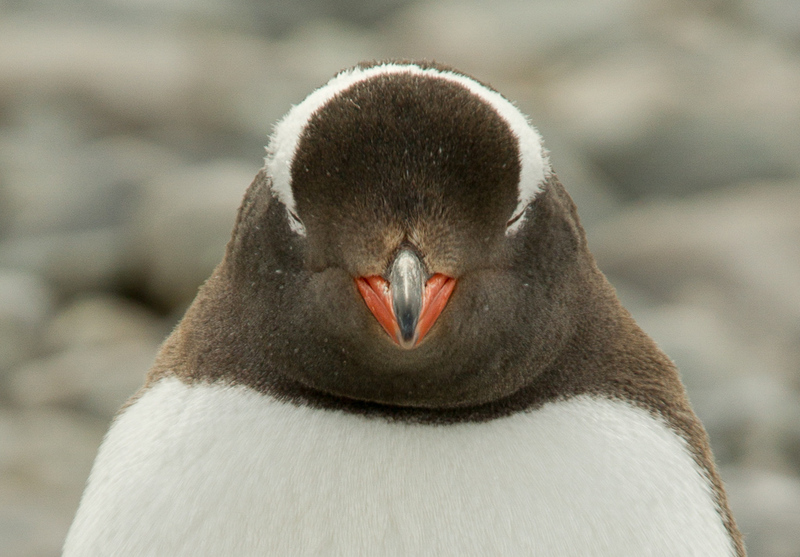 There were great opportunities to photograph penguins on the beach and at either end. 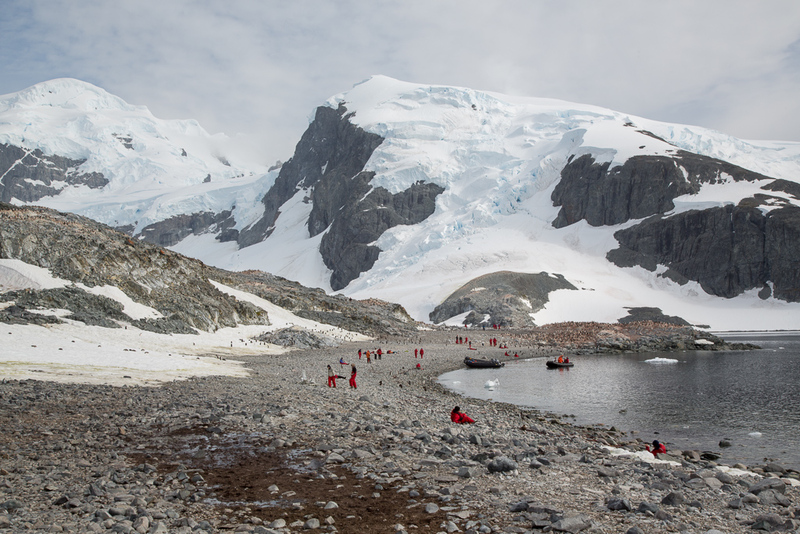 Prior to leaving the beach to cruise around the island, the hearty souls in the group took the opportunity to take an Antarctic plunge off the beach. 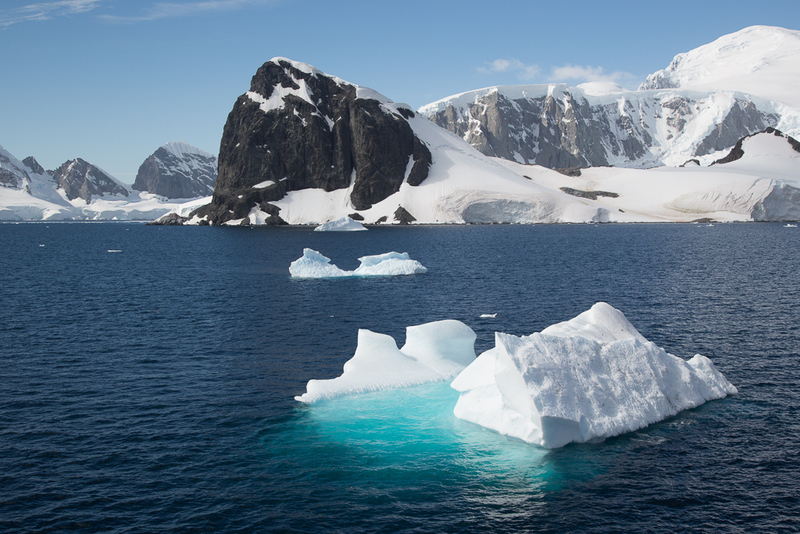 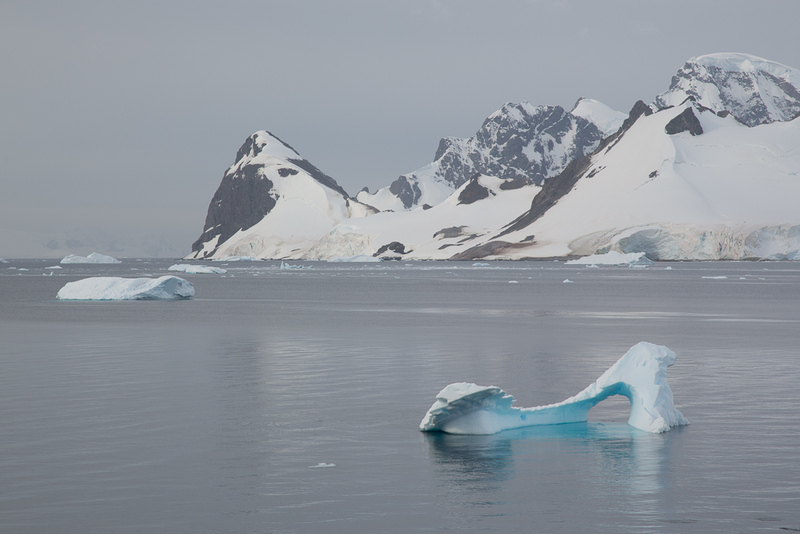 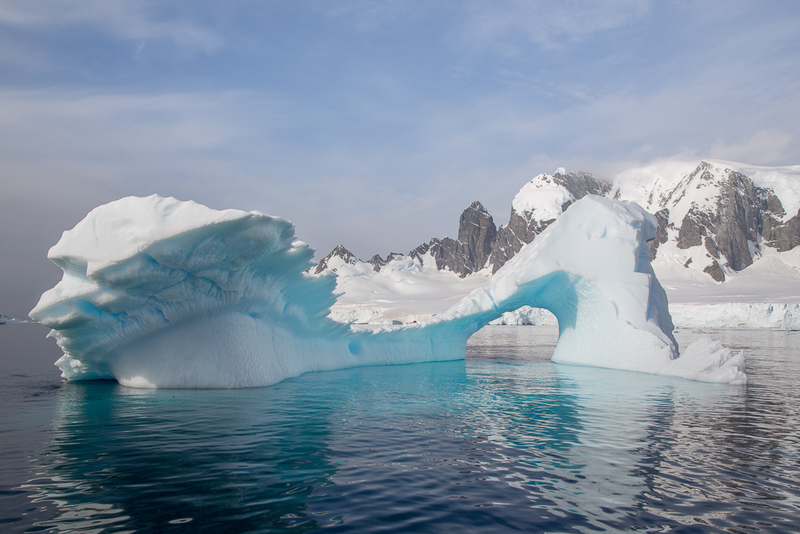 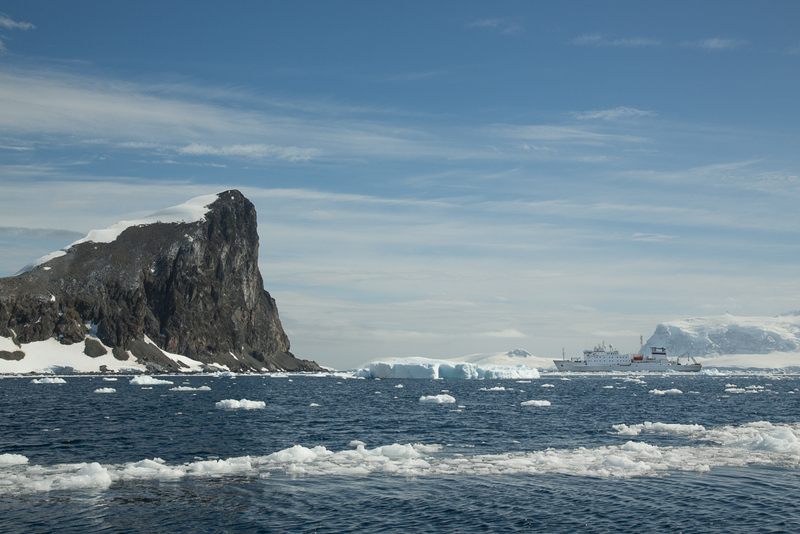 We finished out visit to Cuverville Island with a cruise around the island where a few spectacular icebergs were found. 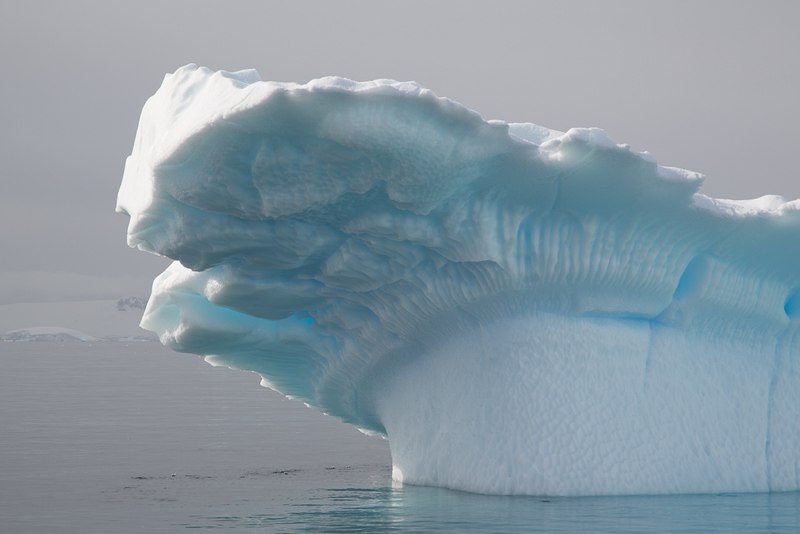 I really liked the iceberg photographs, especially 4-6 of 37. 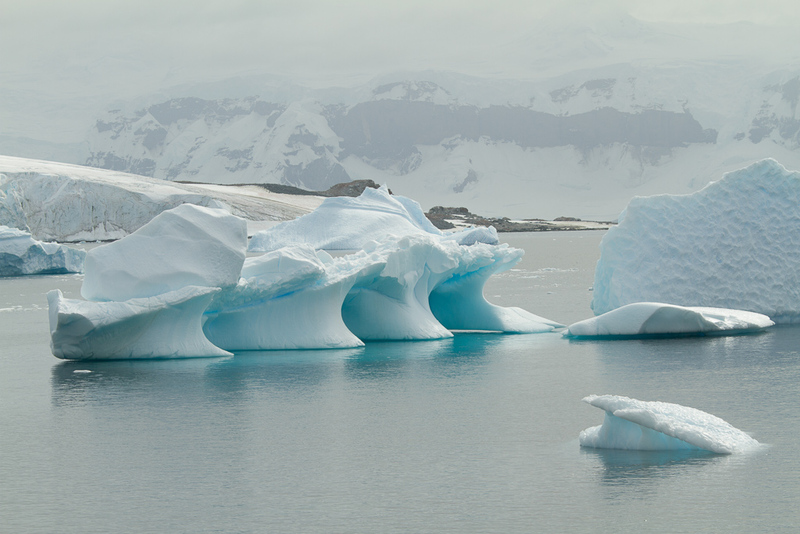 Numbers 5 and 6 reminded me the opera house in Sydney, which I only know from photographs. 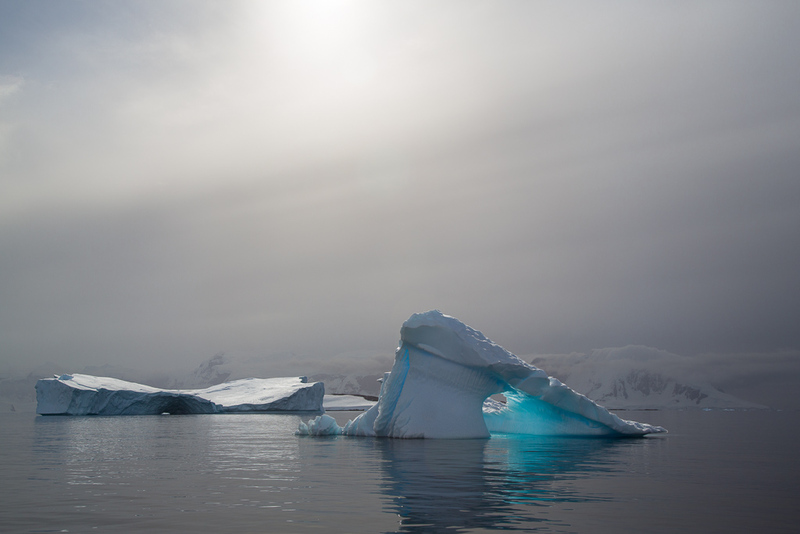 There are some photographs with smaller icebergs floating, their glowing under water parts make for striking images.